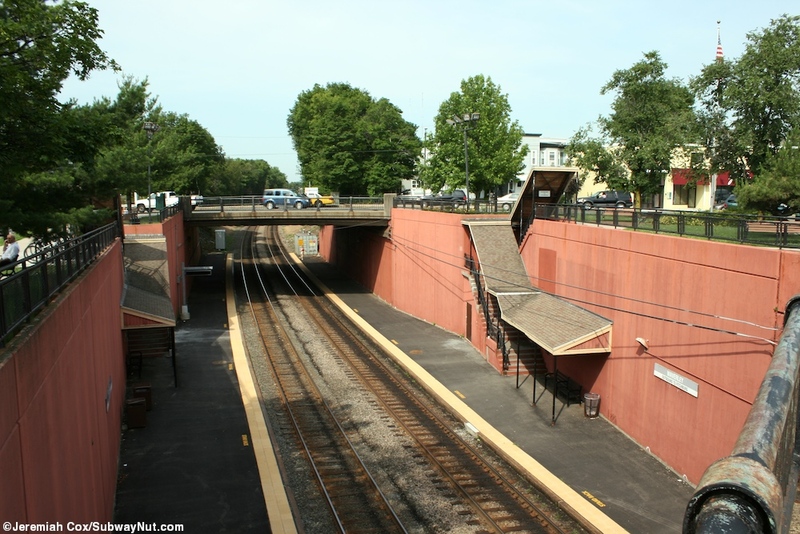 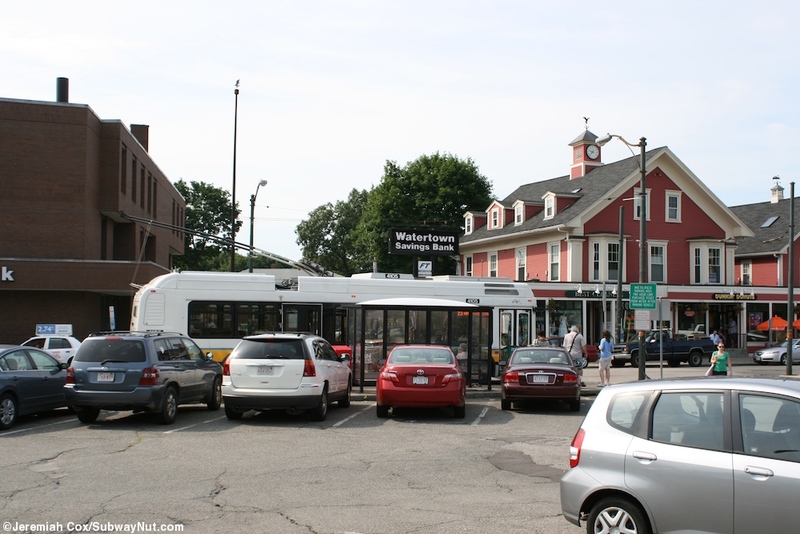 Waverly is located in an open-cut beneath the surface of Waverly Square where the Route 73 Trolley Bus to Harvard terminates. 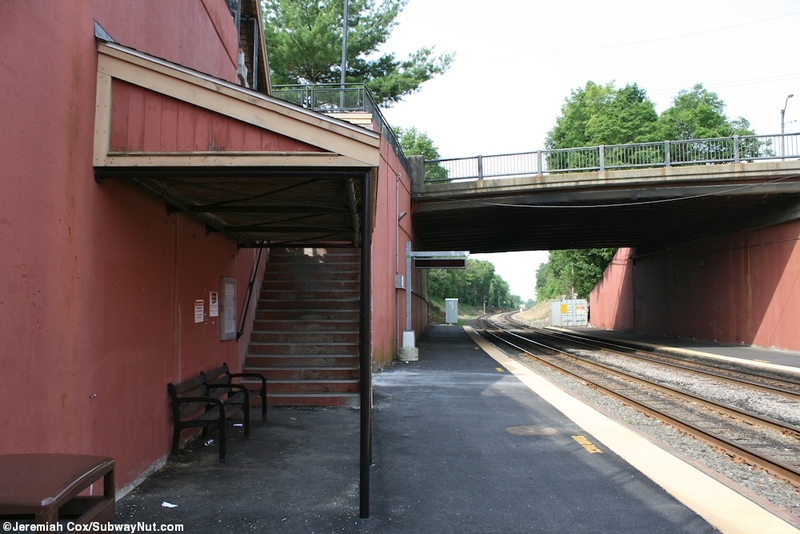 The station platforms are extremely simple with two side platforms connected by a pedestrian crossing at one end and no fence between them. 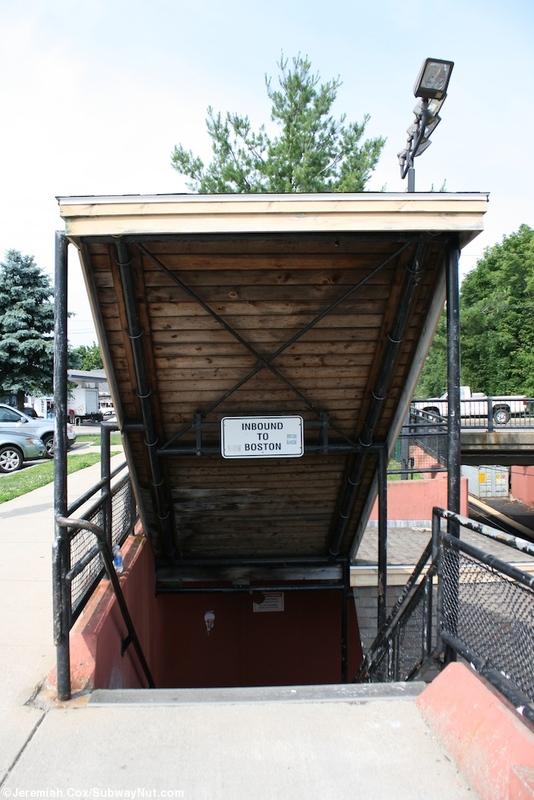 In their mid sections a single staircase covered by a shingled canopy that extends a tiny bit over the platform providing a covered waiting area with a bench beneath. 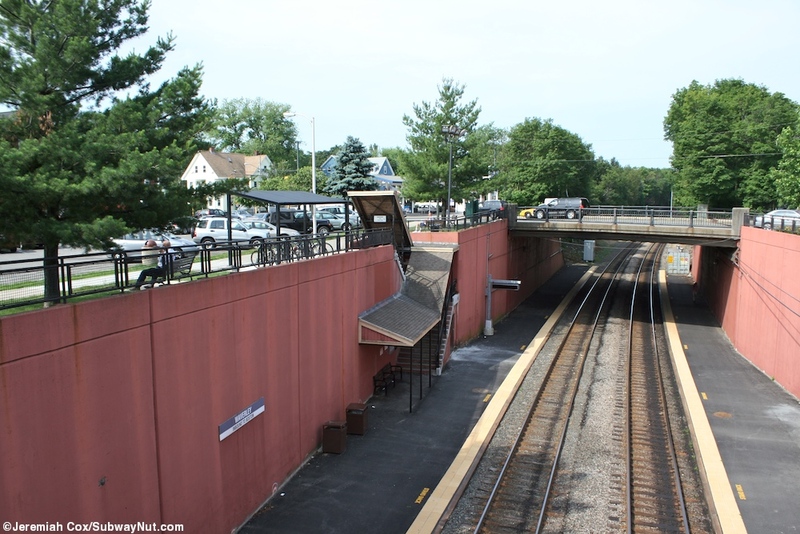 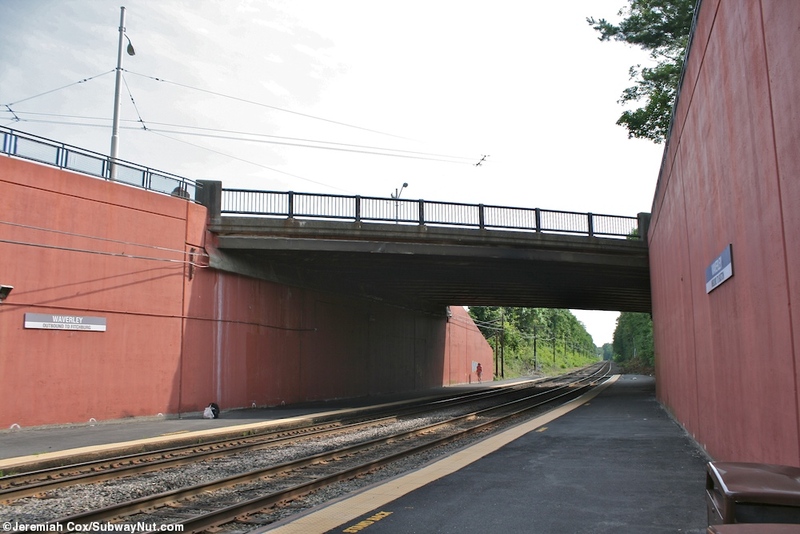 Two streets, Trapelo Road and Lexington Street have overpass over the station. 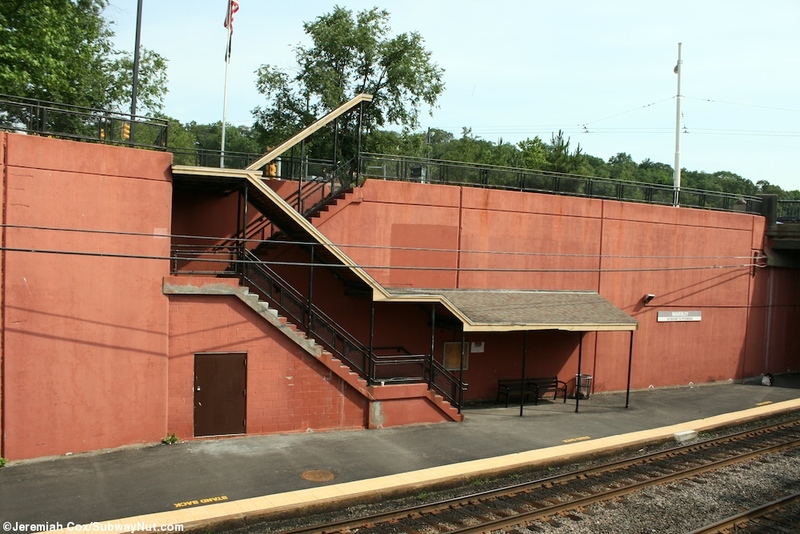 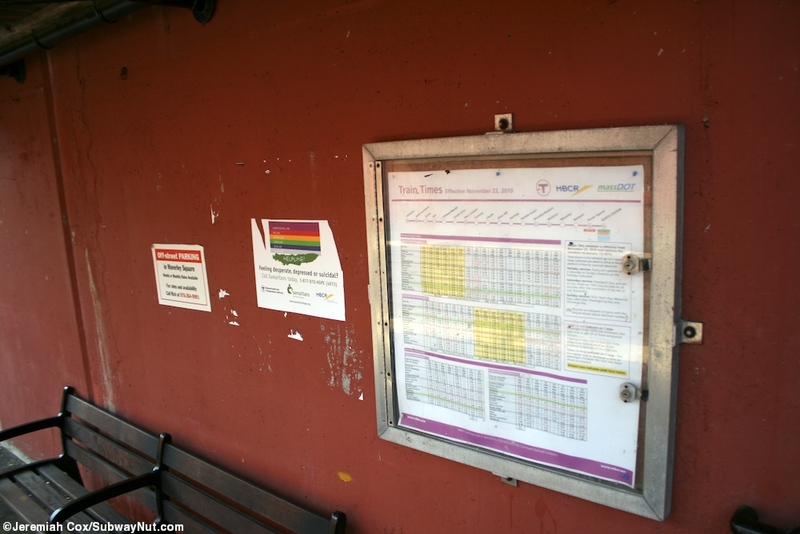 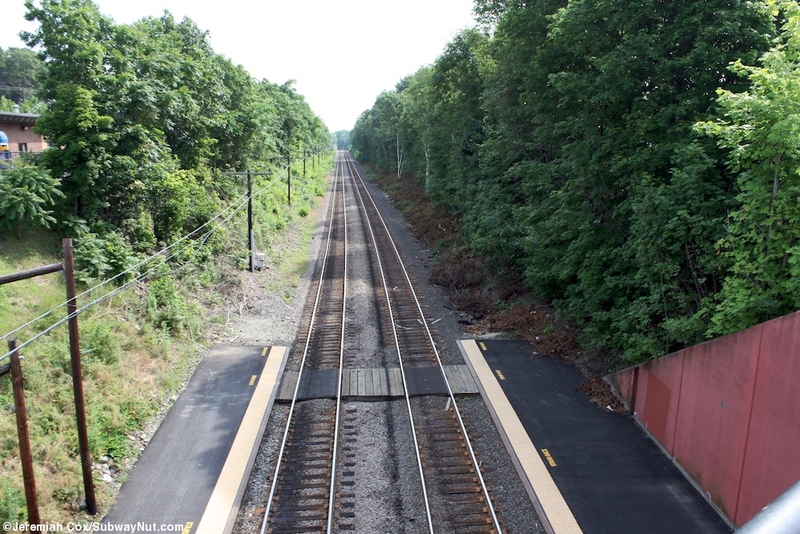 The walls of the open-cut are painted reddish-pink giving the station a very unusual look.